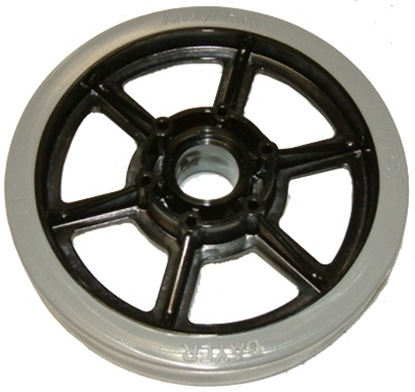 This six inch wheel fit a standard 1/2 inch flanged bearing. It’s fexibility provides the robot with significant shock reduction. Our analysis shows shock to be in the order of 2G’s when the wheel flexs.